The 'assistive technologies' based free upgrade from Windows 7 and 8.1 to Windows 10 has just received an expiration date. One of the best known nudge-nudge-wink-wink features of Windows 7 and 8.1 is about to fade into the sunset. As of Dec. 31, the offer to upgrade from either version of Windows to Win10 for free will end. At least, it looks like the offer will end. With no clear announcement from Microsoft, the nods and winks seem more furtive than ever. You might think that “assistive technologies” would encompass all of the parts of Windows that help those with disabilities cope with their computers. It does. But, by Microsoft’s definition, it also includes features that many folks use every day. For example, if you use Ctrl + Alt + scroll to adjust your screen magnification, that’s an assistive technology. So is Reading view in Edge. If you follow the links in Microsoft’s description, any keyboard shortcut (including, say, Ctrl + C) is an assistive technology. We are not restricting the upgrade offer to specific assistive technologies. If you use assistive technology on Windows, you are eligible for the upgrade offer. Please do not use the "Assistive Technologies" webpage tool to late upgrade to Windows 10 if you have missed the free upgrade offer. It is only for those with disabilities, and is being changed soon to prevent abuse of the system. That's quite a change from the statement on the official upgrade page. The official page says the upgrade offer is available to anyone who uses assistive technology, while Swaggy on Reddit says that it isn’t. You be the judge. I’m 100% convinced that the brass at MS knew about the loophole long before it was set up. It’s very likely that this is a nod ‘n a wink pressure relief valve for those who forgot to upgrade for free. But you have to wonder: Is there one, single Windows 7 or 8.1 user on the face of the planet who doesn’t know that the free upgrade period expired on July 29? If you use assistive technologies, you can upgrade to Windows 10 at no cost as Microsoft continues our efforts to improve the Windows 10 experience for people who use these technologies. 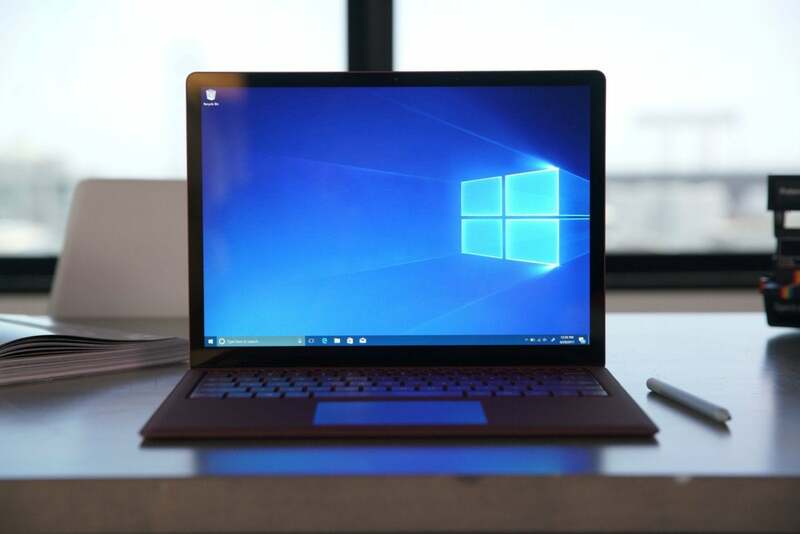 Windows users who are not sure if Windows 10 is right for them can take advantage of the offer, and roll back their systems afterwards. The license is linked to the Microsoft Account if you use it, or the hardware ID, so that you have it in case you want to upgrade to Windows 10 in the future. It’s important to note that this new deadline applies to one, specific upgrade path — in order to take advantage of the “assistive technologies” offer, you have to upgrade from the official upgrade page. But that isn't the only free upgrade method in town. Microsoft first introduced this capability over two years ago, and in doing so it erased what had been one of the early install/activation issues with the then-new Windows 10. Almost a year later, I reported that this capability–which was supposed to be temporary, by the way–still worked. Since then, I’ve tested this scenario on a very regular basis, probably roughly once a month. And as people have asked me about it, on Twitter or via email, I’ve told them that it still works. Of course, it’s in Microsoft’s best interests to get every Win 7 and 8.1 (and XP!) machine onto Win10 -- whether you want to or not. It’s not at all clear why it's being so coy about it. Join the discussion on the AskWoody Lounge.